On this page we answer some of the questions we get asked most frequently about working with us, so you can better plan your event. Can I e-mail or text you a picture of what I want? Yes.  Our e-mail is info@total-party.com. You can also text a picture to 732.723.3555. Working through email also allows us to provide quick responses while at other event locations or after business hours.  We proudly provide balloon decor and other party services for the greater New Jersey area serving an hour radius around East Brunswick, NJ. We are also available to travel nationwide for large events. Can I meet with you at my event space? Yes. An on-site consultation is available on select weekdays. An additional fee may apply. Orders should be placed as early as possible. Event set up dates and times are first come first serve. Yes. In most cases we can arrange a time for pick up at our East Brunswick studio. Do you have a color chart for me to pick from? Yes. Click this link to see a current color chart of latex balloons. Do prices include removal of the decor? How do I pay for my decor? Once your order is finalized, an invoice will be emailed to you that can be paid online with a credit card. We also accept cash, checks and Venmo. Once your event is booked, that time slot is reserved for you and supplies for your event are ordered. Orders canceled 30 days or more prior to your event are eligible for a credit for your next event equal to monies paid, however no refund will be given. Orders less than 30 days from the event are not eligible for cancellation. Refunds are not provided on any orders. Are balloons biodegradable or can they be recycled? Yes! 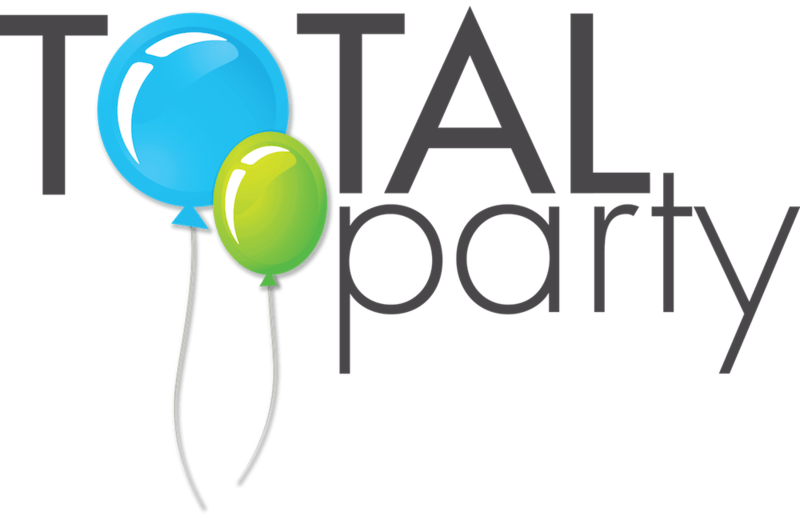 Our latex balloons are made of natural materials and are 100% biodegradable at the same rate as an oak leaf. Mylar (or foil) balloons are NOT biodegradable but are able to be recycled. I bought some balloons from somewhere else, can you inflate them for me? Yes, but we cannot guarantee the quality of balloons not provided by us. If they are defective or burst during or after inflation, you will still be charged the full amount for that balloon. We also can not speculate about the longevity of balloons not provided by us. What color balloons do you have available? 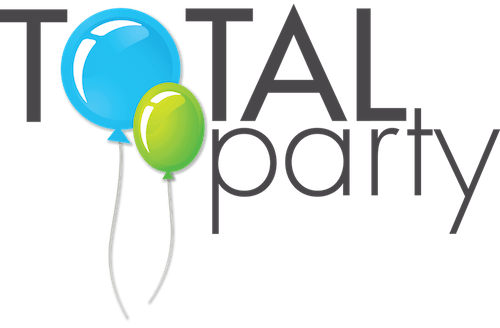 Total Party uses high quality balloons from Qualatex which come in a variety of colors. Additional colors can be achieved by layering balloons. Click here to view the complete Qualatex color chart.